« Yellow Card Campaign coming! 1. Request the police to investigate this brutal case swiftly without prejudice. (The group responsible for the murder have several criminal cases connected to them but no charge was ever brought against them until now. There is allegation that this group have ‘protection’ from higher up). 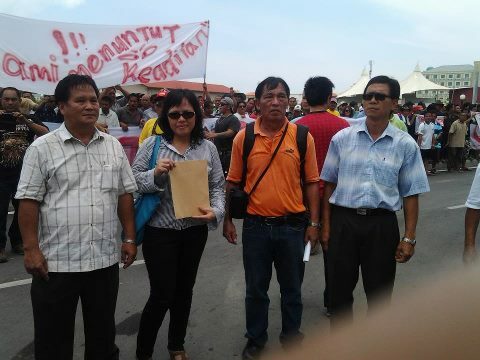 We urge the public not to listen to rumors of racial clashes in Lawas. Lawas town is back to normal today and we urge everyone to remain calm and do not listen to rumors or spread rumors about racial clashes happening in Lawas.